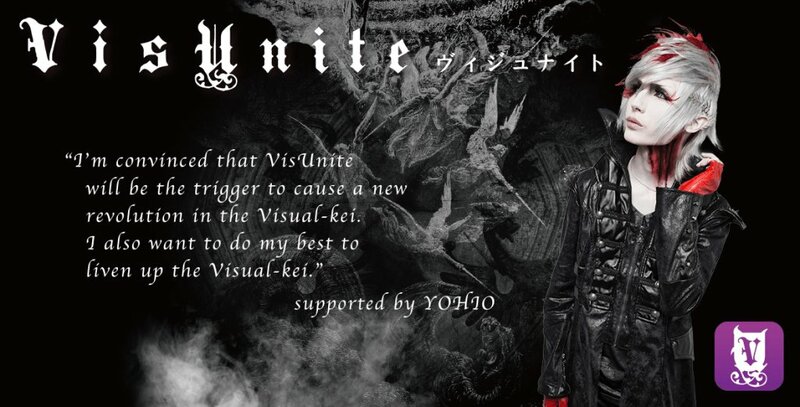 YOHIO - Ambassador for Visual-kei App “VisUnite” | VKH Press – J-Rock & Visual Kei Coverage Worldwide! You heard it right. There is a new, free visual kei app being released, and the ambassador will be none other than YOHIO! The app titled VisUnite will be released in the middle of September, will aim to connect both bands and fans. Its name is coined by combining the words "Visual" and "Unite", so apt to it's aim. More importantly, this app is free. On VisUnite, users will be able to browse photos and videos from their favorite artists (as well as some they would just be discovering) and support them via "LO▼U" (the app's version of "likes"). These LO▼Us determine the kinds of perks and promotions the bands receive, ranging from things as simple as advertisements and magazine features to things as extraordinary to special event appearance. This can all be attained depending on how many LO▼Us the artist receives from the fans! VisUnite will become compatible overseas as well, establishing a platform to promote Japanese culture, visual kei and work towards the revival of the visual kei industry. Are you ready to be isUnite-d? VisUnite is scheduled to be available in mid-September, but pre-orders are already available! Check out the websites below for more details. ＊Currently available in Japan only. Only browsing is available for outside of Japan. YOHIO comes from a musical family in Sweden. He started to learn the piano, and began compsing at the age of six. When he was 11, he came across the guitar, forming a visual kei band three year later named Seremedy. In 201, he signed a contract with Universal Music and performed as the opening act of Visual-kei festival “V-ROCK Fest” in the same year. Now, YOHIO works as an actor, voice actor, mode,l and does stage activities in Sweden and shows. In 2016, he moved his base to Japan and is currently developing his band “DISREIGN” as well as solo activities. Operating Company: UNITED DREAM Inc.